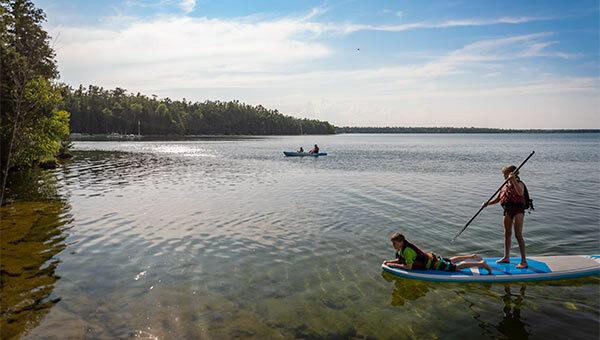 Relax however you see fit, whether it be hiking through miles of marked trails, paddling along the lake, casting a line from our private shoreline or simply catching a sunset. 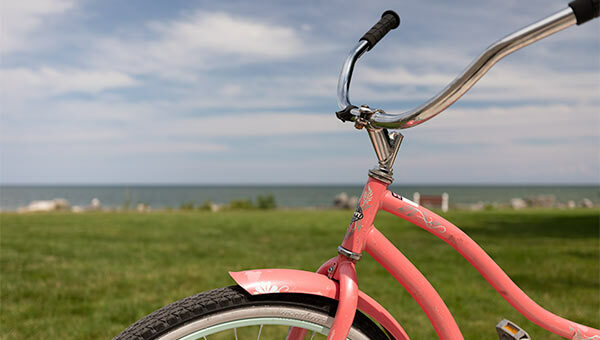 We invite you to take advantage of our complimentary, guest-exclusive amenities to make the most of your Door County vacation. 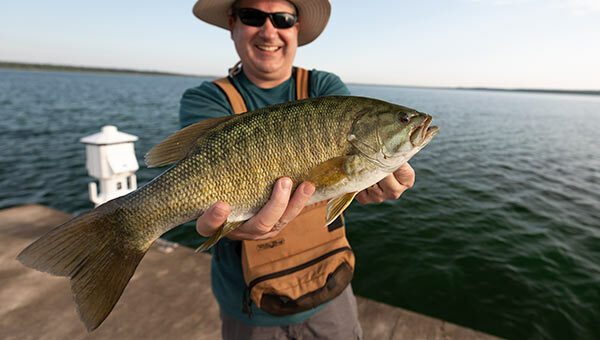 On the land or in the water, our guests get the best of the beauty of Door County. See everything you can do without even leaving our grounds. 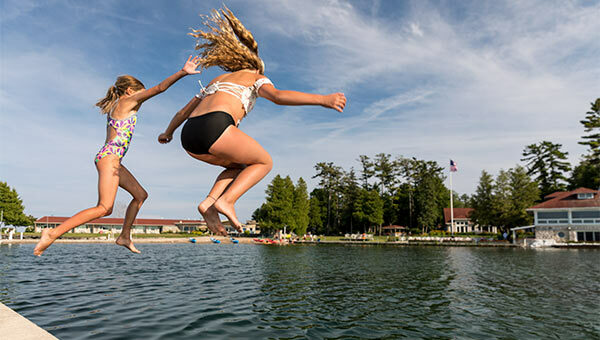 With a half mile of shoreline and 300 feet of private sandy beach, guests can get the best of Door County to themselves by swimming, hiking or simply taking in the sunset. 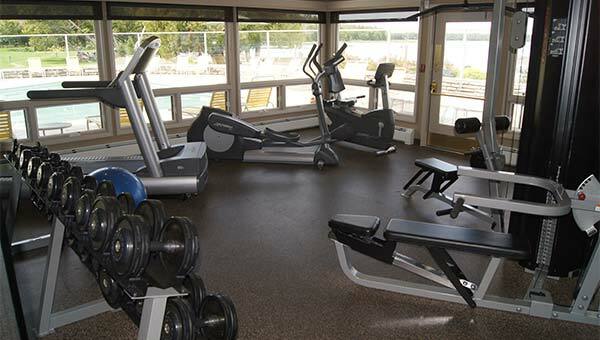 Bicycles (for guests seven and older), basketballs and other equipment is complimentary for our guests to use. 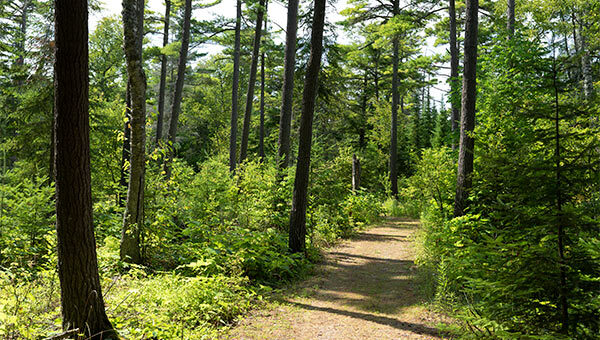 Use our trail map to navigate the miles of marked hiking trails on our property. 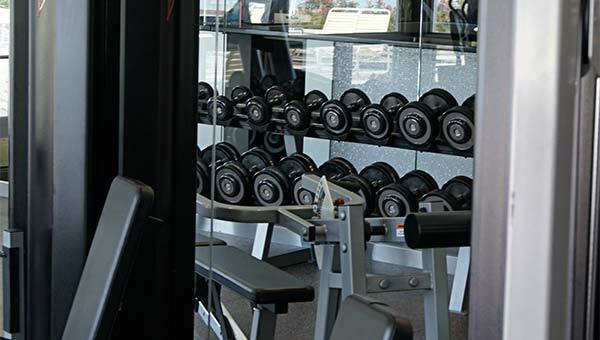 Get your heart pumping on a variety of fitness machines or with free weights while enjoying a view of the beach and bay. 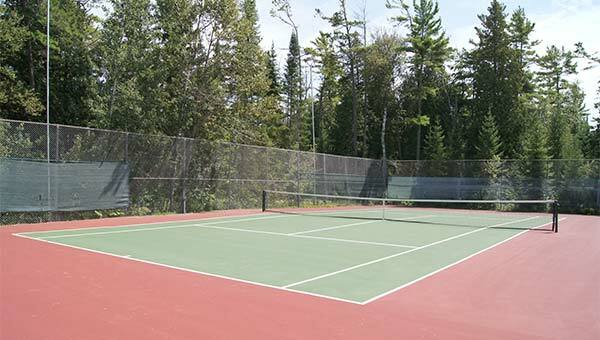 Guests are welcome to use the wood side tennis and basketball courts at their leisure. 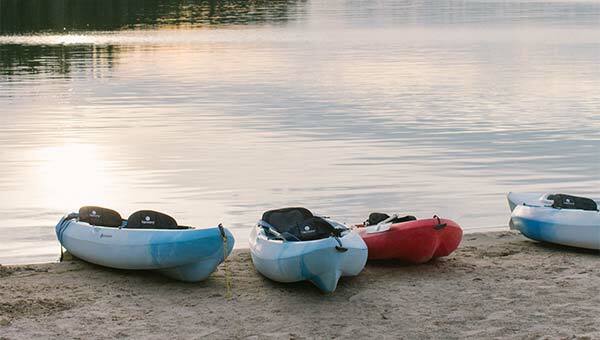 Kayaks, paddleboards and fishing poles are complimentary for our guests to use. Lounge on the wide sandy beach, wade in the waters or go for a swim in our private waterfront area. Fish Tails Charters and guided adventure paddleboard and kayak tours from Gravity Trails are available from Gordon Lodge. Ask about these at check in. 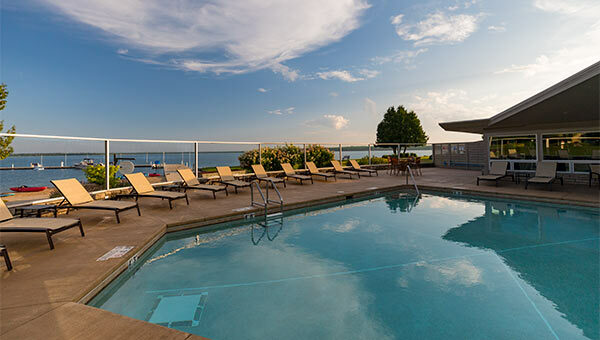 Our large outdoor heated pool and hot tub overlook the waters of North Bay and are open to guests seasonally from 8am to dusk.